I’m trying to break out of this rut with some simple pigeon paintings. They are such pleasing shapes to draw, and have such beautiful colours and varied patterns. 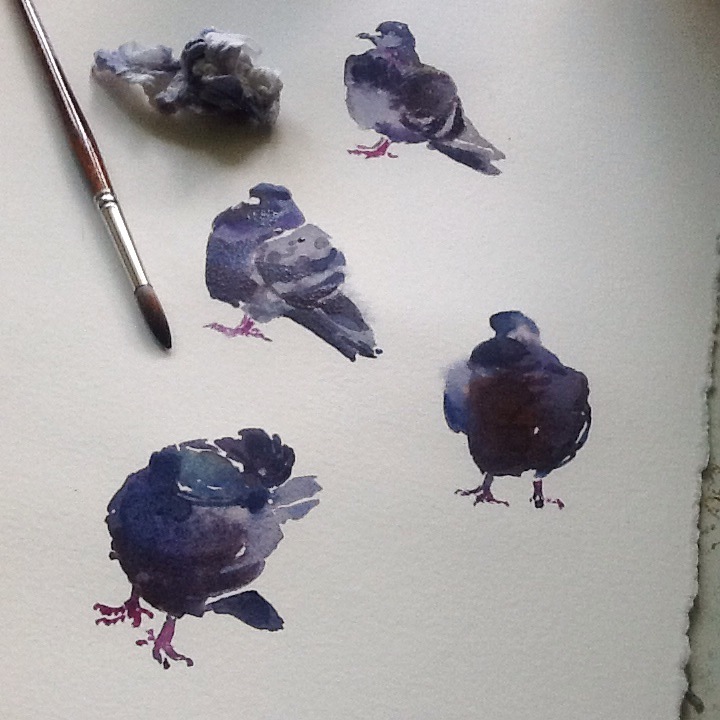 As much as I like the idea of painting crows, I actually prefer pigeons. They manage to twist into so many more interesting shapes.